The stoplight is such a simple traffic device, but has a universal meaning to pedestrians and drivers in the world of transportation. You may also be familiar with this concept in the nutrition world as it was introduced a few years ago as “Go-Slow-Whoa” or “Stoplight Nutrition”. In order to reinforce healthy food choices, why not implement the universal meaning of the stoplight into an interactive Jenga game? It’s a simple way to reinforce healthy food choices for all age groups. Ask students to recall what the stoplight colors mean and why they are used in the world of transportation. Can we use the same concept in making food choices? How? First remind students that all foods fit into the MyPlate food guide, however, there are different levels/grades of healthfulness associated with each food. For example: Think about an orange, mandarin oranges in light syrup and orange fruit chew (gummies). Are they all equal in terms of healthfulness? They are not, but why? Explain that the more natural the food the more healthful it is. Since the orange is a whole, natural fruit, it is the healthiest. The mandarin oranges have been processed and sugar has been added to create the light syrup, therefore, it is less healthy. Finally, the orange fruit chews are man-made in a plant, contain a lot of preservatives and unknown ingredients and probably the only part of the orange in it is possibly the flavor and the name. Therefore, they are the least healthy. Show students the Stoplight Foods PPT below and have them color in the stoplight and add notes for each section on their graphic organizer. Students can access the food chart at this website, illustrating the various levels associated with the MyPlate food groups. 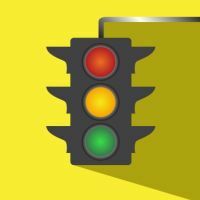 Students view this YouTube video to help reinforce the concept of stoplight nutrition and practice making some predictions for food choices. To help students learn this information, we play a whole class game of Stoplight Jenga. Note: First, prepare the food cards (these are from We Can Go-Slow-Whoa Flashcards–I just made them smaller) by cutting them apart and placing them in an envelope or container. Second, set up the Jenga tower in a central location in your classroom. If the food was a “whoa” food, a block gets pulled from the lower section of the tower. If the food was a “slow” food, the block gets pulled from the middle section of the tower. If the food was a “go” food, the block gets pulled from the upper section of the tower. Continue until you are out of cards or the tower falls! Exit Slip: Ask students to explain the analogy between the Jenga game/tower to our bodies and making healthy food choices. I put this in the “ASK” section of Google Classroom and my students respond electronically. However, if you are not 1:1, this could be completed on paper or as a bell ringer the next day. Hopefully, they get that their body is the tower and what they choose to put into it will either help is stay strong (intact) or it will weaken it and cause potential health concerns (collapse). Optional Extension Assignment: We are encouraged to incorporate technology into our lessons, so we read this article “Traffic Light Inspired Color Coding May Help People Make Healthy Food Choices” and students then respond to the below prompt using the Flipgrid App. The prompt is…Do you believe color-coding food products in our school cafeteria would encourage students make better food choices? Why or why not? Would it personally help you make better choices? Explain.